Jonathan Gray, selected third overall last week out of Oklahoma, arrived in Denver on Tuesday and the sides completed the contract a day later. He attended a news conference at the ballpark before Colorado played the Washington Nationals, shook hands with star shortstop Troy Tulowitzki and in the middle of the third inning was introduced to the crowd on the video board, answering a rousing welcome with a smile and a wave. Gray said he was glad the deal was done so he could turn his attention to beginning his professional career. 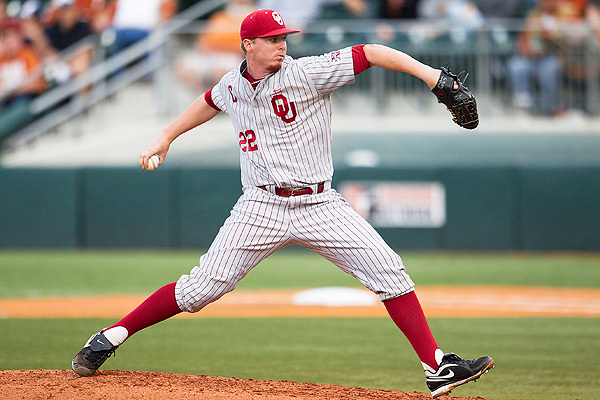 He is the highest 2013 draft pick to sign so far — the right-hander was chosen after Stanford pitcher Mark Appel (Houston Astros) and San Diego third baseman Kris Bryant (Chicago Cubs). “It feels great. A huge relief, and I'm ready as soon as possible to go out and play,” Gray said. He will join the Rockies' rookie league team in Grand Junction.